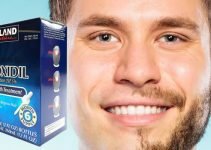 Lipogaine for Men - Can It Help To Grow Facial Hair? 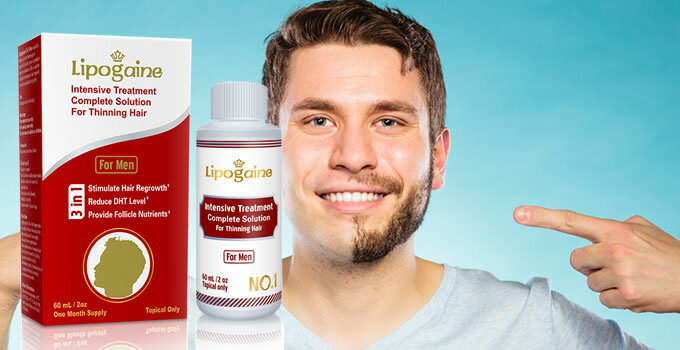 Lipogaine for Men – Can It Grow Beard Hair? Millions of men who have experienced hair loss have had moderate to good success using Lipogaine for Men to regrow their hair, but what about beard hair? Can Lipogaine do the same thing for beard hair as it does for scalp hair? To find out, you need to understand a little bit about how Lipogaine for Men works. How Does Lipogaine for Men Work? Lipogaine for Men is a topical liquid that must be applied to the skin, directly on the spots where hair regrowth is desired. Lipogaine has one main active ingredient, Minoxidil. This is a drug that was first developed in the 1950s for research on its effectiveness at treating ulcers. As it turned out, the drug was completely ineffective at treating ulcers, but it widened blood vessels. It also had an unexpected side effect: in some users, it grew hair. It was believed that the widening of the vessels in turn allowed for more nutrients and oxygen to be delivered to hair follicles that had become shrunken and sluggish. The manufacturer, Pfizer, saw potential for a whole new market in hair growth/regrowth and scrambled to get approval to test the drug for its effectiveness at growing hair. Minoxidil had the same effect on beard hair as it did on head hair in test subjects. Those who were able to grow head hair with Minoxidil were also successful at growing facial hair. Within a few years, it began trials on men with hair loss. Finally, after years of testing, Minoxidil hit the market in the 1980s as a topical drug for growing/regrowing hair. Minoxidil has been sold under a variety of brand names over the last few decades. It has also been added to other hair growth and maintenance products. 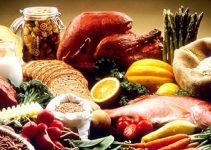 Lipogaine is one of the most familiar and well-known. Lipogaine contains a five percent Minoxidil solution and is the main ingredient in Lipogaine’s formula responsible for growing hair. However, Lipogaine also contains several other ingredients besides Minoxidil. It is those ingredients that set Lipogaine apart from formulas that are pure Minoxidil. While Minoxidil has been successful at growing hair for some men, others haven’t seen any growth at all using pure Minoxidil products. This is likely because, in those cases, hair loss is not caused by shrunken follicles and narrowed blood vessels. It is more likely that their hair follicles are being targeted by a substance called DHT. DHT (dihydrotestosterone) is a substance that is produced naturally by the body when testosterone comes into contact with an enzyme known as 5-alpha-reductase. This process occurs naturally within the body. DHT is critical during certain periods of life, particularly when the male fetus is developing in the womb. DHT is what gives male fetuses their distinctive male characteristics. The female body also produces it, but to a much lesser extent than males. The male body produces DHT throughout his entire life, but normally only in relatively small quantities. Problems arise when the body produces too much DHT during the adult years. DHT actually binds to hair follicles, preventing them from receiving nutrients supplied by the blood. Eventually, this leads to shrinkage of the follicle. It gets smaller and smaller until it finally dies altogether. The hair falls out, and new ones stop growing. For men whose hair loss is primarily caused by excess DHT, Minoxidil alone may not be effective, but, Lipogaine may be. Lipogaine contains a 5 percent Minoxidil solution. However, it also contains some extra ingredients, added because they work in a different way. Azetinol, saw palmetto extract, beta-sitosterol, oleic acid, linolenic acid are herbal ingredients which naturally block DHT from attaching to hair follicles. Once DHT is no longer able to attack the follicles, Ligogaine’s other ingredients go to work reviving and re-awakening the follicles so that they can begin producing hair again. In addition to DHT-blockers and Minoxidil, Lipogaine also contains Biotinyl-tripeptide, Niacin and Apple polyphenol, herbal ingredients that help to stimulate new hair growth. Will Lipogaine Work on Beard Hair? Hair growth will only occur in places where there are existing hair follicles. This is a good thing, because otherwise you would end up growing hair on your fingers or any other body part that might come into contact with the product. That being said, if you’re trying this because your beard isn’t as full as you’d like it to be, or you have some bare spots, Lipogaine is only effective if there are follicles that are under producing. If bare spots are due to a low concentration of follicles in that particular area, this won’t work. If you’re growing a beard for the very first time, or you haven’t worn a beard in a long time, give it some time to grow naturally before trying Lipogaine. Lipogaine isn’t designed to be used the way you would fertilize a newly-planted garden to give it a jump-start. Lipogaine is meant to treat a real, existing problem. Give your beard at least a few months to grow out naturally, giving nature an adequate time to work before assuming you have a hair-growth problem. Teens should avoid using Lipogaine. Likewise, if you’re young (under 25 or so) and you’re growing a beard for the first time or you haven’t been able to get your beard past the scraggly stage, it may be that your body’s hormones haven’t fully matured yet. Let nature take its course first. Everyone matures at different stages, and growing a beard doesn’t have to be a contest waged against all of your buddies. Just keep taking good care of your face. If you want to nurture and nourish your facial hair, consider instead using a natural beard care product (such as beard oil or beard balm) without Minoxidil in it to condition the hair and the follicles. 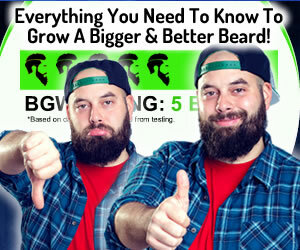 This will optimize your chances of getting a full, healthy beard. Don’t expect miracles. Like Jack’s magic beans, some guys have the idea that they can apply Lipogaine at night and wake up with a beard. Lipogaine doesn’t work that way. It’s not a miracle-growth formula. It will take time to see results, so give it a good six to eight weeks before passing judgment. Be prepared for an ongoing commitment to Lipogaine. If you are able to successfully grow/regrow beard hair, know that once you stop using this product consistently, your follicles will go dormant again and your hair will start to fall out. Use the product only as recommended in the instructions. In the case of Lipogaine or any other Minoxidil product, more is not better. Apply as little of the product as you need, and no more than the recommended amount. Try to keep the product from coming into contact with the rest of your body or with any household surfaces. Apply Lipogaine while wearing latex gloves, if possible. If not, wash your hands thoroughly after application with warm water and soap to remove all traces of product residue. Lipogaine and Minoxidil should not be used in households with pregnant women or women who may become pregnant. Minoxidil-containing products may reduce a woman’s chance of getting pregnant, and may cause birth defects in a developing fetus. Lipogaine and Minoxidil should be kept away from children. It’s not known what harmful long-term effects Minoxidil may have on young children, but evidence suggests that it could put young children at risk. Households with small children shouldn’t have the product on hand at all. It should always be kept away from children at any age, even older ones. Likewise, you should thoroughly clean and sanitize any household surfaces that have come into contact with the product, since product residue can be inadvertently transferred to children this way. There is a product for sensitive skin. If you know your skin is sensitive, try Lipogaine for Men (Sensitive) first. So is Lipogaine for beards? The answer is YES! 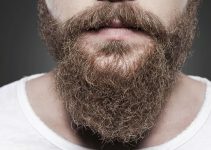 Minoxidil For Beards – Can Minoxidil Grow Facial Hair? I thought it was bad to use DHT blockers on the beard ? I wouldn’t use them for long periods. Just enough time to see if it works for you. Lipogaine is LEGIT. I even tried saving some money by switching to rogaine regular, rogaine foam and kirkland regular and experienced massive sheds every time. I’m just going to stick to lipogaine. It’s a shame that amazon took it off the shelves for having azaelic acid. THAT STUFF ACTUALLY WORKS!